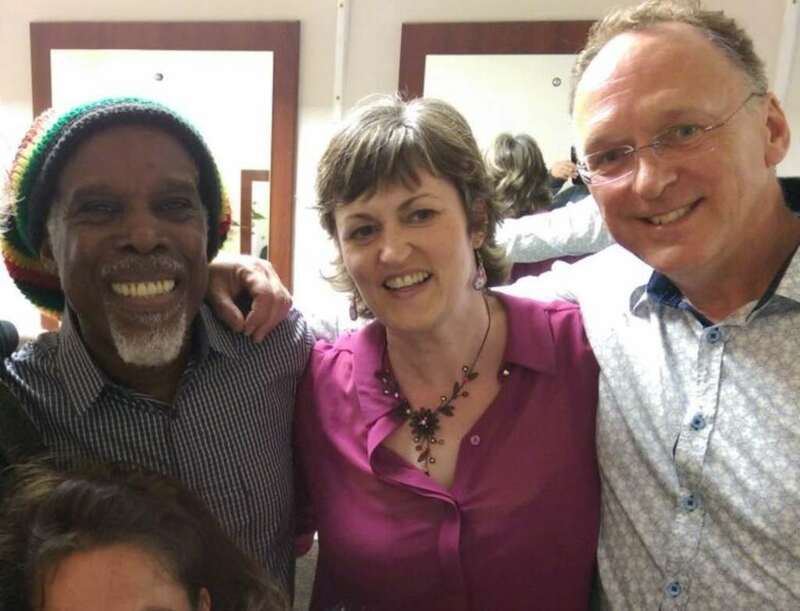 The Gordon`s weekend took an unexpectedly happy turn on Saturday when we were lucky enough to get last minute tickets to see Billy Ocean at Cricket St Thomas. This was mainly due to my husbands sneaky cheek along along with the fact that a very good friend of ours worked with Billy Ocean back in the day. On top of seeing a great gig - he and his band were awsome, we had the added bonus of being able to meet him later on. What a lovely man he is! A wonderful voice - didn`t miss a note, a true professional, and a great showman. All in all, a very memorable weekend. P.S. So sorry to our friends that I have cropped from the photo to make it the right shape! It would have appeared stretched otherwise and I couldn`t do that to Mr Ocean.